my ever evolving « west coast » garden got two major additions this week, japanese Hinoki cypress – Chamaecyparis obtusa and Eddie’s White Wonder dogwood – Cornus nuttallii. these, along with the vine maples, a large rhododendron, many hostas and ferns, courtesy of kind friends, are starting to give me the look i’m going for – a dense growth with a lot of shade and moisture loving plants. 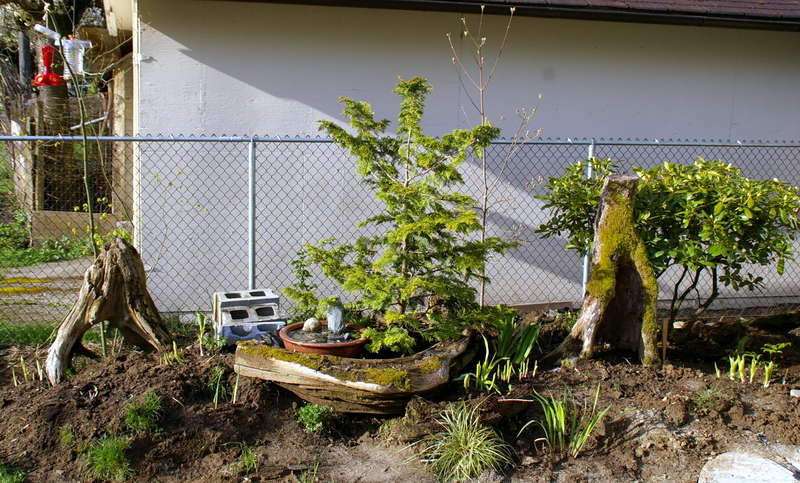 still to come, a nurse log (wishful), oregon grape, moss and a water feature…all in good time and $$$.